Great news for our supporters! We have launched the Loyalty Program. Its aim is to incentivize returning users. Each sale via Monetha payment gateway and mobile app payments will grant the buyer 0.2% of the total amount in MTH vouchers from our loyalty pool. Buyers will be able to use these vouchers to cover up to 70% of the value of their future purchases. The program applies only when paying with ether. Monetha vouchers are valid for six months. If unused within that period, they will move back to their respective pools. Also, please note that MTH vouchers are not the same as tokens. 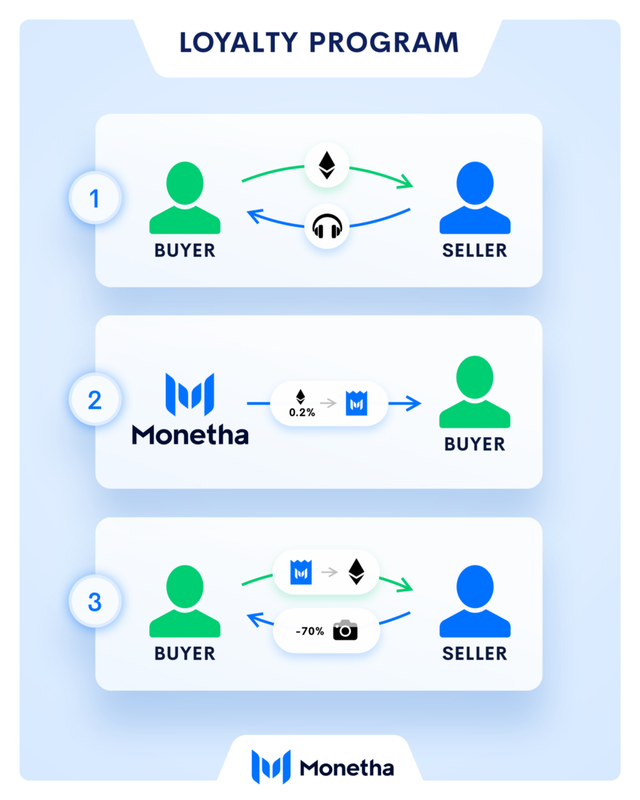 They cannot be transferred or sold — their only use is for purchasing discounted goods on the Monetha platform.